One of the largest and and most powerful technology companies in the world, Cisco Systems, Inc., is often at the forefront of the networking hardware industry. Based in San Jose, California, in the heart of Silicon Valley, the company has one of the most extensive selections of networking hardware in the industry, including aggregate and core routers, switches, security devices and optical transceivers and cables. Cisco supplies hardware for just about every market segment in the industry, but its worldwide presence makes it perfect for large-scale enterprises, service providers and data centers looking to buy networking hardware in bulk. BrightStar Systems stocks many of Cisco’s flagship product series, including routers, switches and optics. Whether you’re looking to replace only one piece of equipment or upgrade an entire system, you can depend on us to supply you with the highest-quality, pre-owned Cisco networking hardware. Cisco is the largest manufacturer of networking equipment in the world, and we are proud to be an independent dealer of used and refurbished Cisco routers, switches and optics. The best part about purchasing used surplus supplies is that it’s much more cost-effective than purchasing new Cisco supplies. And when you purchase pre-owned equipment from us, it’s all tested for quality, and guaranteed to operate at peak performance. Whether you’re making a purchase as a customer, or as a wholesaler looking to buy in bulk in order to resell equipment, you’ll gain access to our knowledgeable support team to help you with any questions regarding installation, setup or operation issues. We also can provide supportive documentation in the form of downloadable PDFs for Cisco products to help with setup and maintenance. Browse through the information on this page to get a sense of all the used surplus Cisco products we have available for purchase and gain access to datasheets that provide specifications for Cisco routers, switches and optics. The Cisco ASR 9000 Series is made up of several high-end chassis that are designed with specifications best suited for network service providers, but also can be used in large-scale enterprise environments. The ASR 9000 Series has both edge and core routing capabilities. They are ideal for high-bandwidth applications, such as video streaming, and are extremely scalable. They also offer a great price-to-performance ratio, as power is used on an as-needed basis. 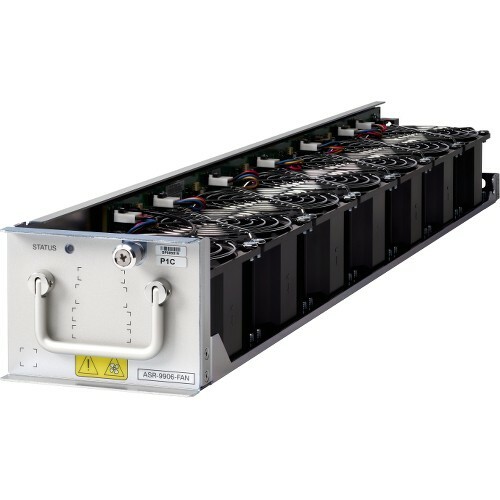 The ASR 9000 Series includes seven different models, ranging in size from only 2 rack units (RU) to 44 RU. They offer speeds ranging from 240 Mbps to 160 Tbps, and all models support 100G Ethernet except for the smallest model, the ASR 9001, which supports only 40G Ethernet. These routers have fully-redundant hardware to ensure peak availability so that you or your customers’ networks are always up and running. On top of the ASR 9000 Series having redundant hardware, these routers also are equipped with Cisco’s Internetworking Operating System (IOS) XR, which allows for software image upgrades and module changes without impacting operations. Contact us today for more information on purchasing a used, pre-owned or refurbished ASR 9000 Series router. 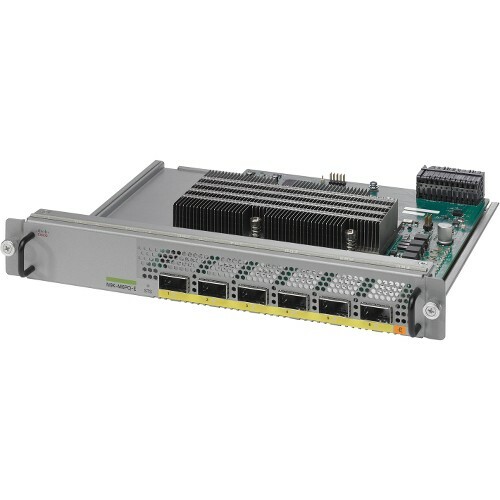 The Cisco ASR 1000 Series is another one of Cisco’s higher-end router chassis, but this series has only edge router capabilities, unlike the ASR 9000 Series, which has both edge and core router capabilities. This makes the ASR 1000 Series better for enterprise applications. And although it can be used in service provider environments, it lacks the capabilities and features of the ultimately more powerful ASR 9000 Series. Cisco’s ASR 1000 Series is available in nine models, not including two older models, the ASR 1001 Series and the ASR 1002 Series, which are no longer available for purchase directly from Cisco. ASR 1000 Series routers range in size from 1 RU to 13 RU and support speeds starting at 2.5 Gbps in the entry-level 1001-X model up to 200 Gbps in the larger models. Another standout feature of this series is its high availability; all ASR 1000 Series models feature five-nines availability, which means they are up and running 99.999 percent of the time. The ASR 1000 Series also features one of Cisco’s networking operating systems, the Cisco IOS XE, which is scaled-down version of the XR operating system used in the ASR 9000 Series. The XE operating system in the ASR 1000 Series is designed more for enterprise network settings; it includes many useful capabilities, including being programmatic and allowing automated tasks. Need more information? Contact us today to purchase a used, pre-owned or refurbished ASR 1000 Series router. Reach out to our sales team to find out which pre-owned Cisco routers we currently have in stock. Contact us today for more information about our offerings on used, pre-owned and refurbished Nexus 9000 Series switches. The Cisco Catalyst 2960-X/XR Series is one of Cisco’s most popular and best-selling switches. Although there are two different forms available here, the 2960-X and the 2960-XR, the biggest difference is that the 2960-X is capable of running both Cisco’s LAN Base and LAN Lite operating systems, whereas the 2960-XR can run only the LAN Lite operating system. The LAN Base operating system is essentially more robust than the LAN Lite operating system and gives users more control over setting up and operating their networks. Both the 2960-X and 2960-XR are available in models that have 24 and 48 1G Ethernet ports. Contact us today for more information about our offerings on used, pre-owned and refurbished Catalyst 2960-X/XR Series switches. If you’re looking for a specific pre-owned Cisco switch model or part number, contact one of our sales representatives to find out if we have it in stock. We also can answer questions you may have about installing and setting up used switches. CPAK is Cisco’s proprietary form factor of optical transceivers, which convert electrical data signals coming from switches into optical signals that can be transmitted through optical fiber. This typically is done using optical fiber cables. 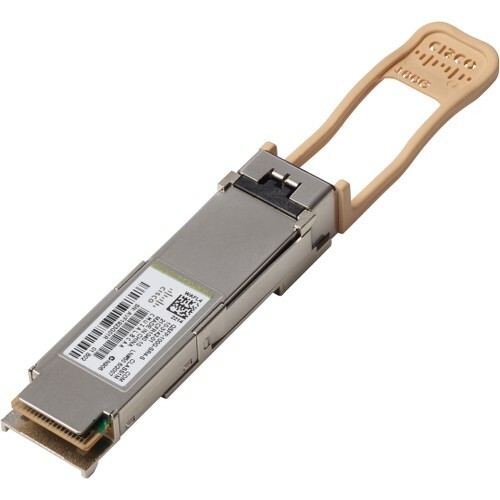 Cisco’s CPAK optical transceivers support 100G Ethernet. 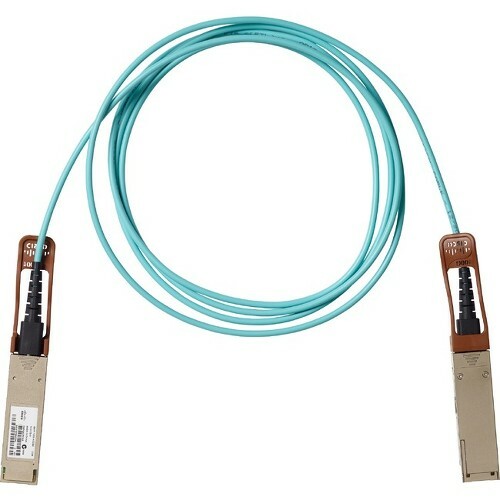 And, as opposed to other optical transceiver form factors, such as QSFP, QSFP+, CFP, CFP2 and QSFP28, CPAK optics have multiple configurations as opposed to just one. For example, the CPAK-100G-LR4 has four optical channels that each support up to 25G Ethernet, but there’s also the CPAK-100G-SR10, which has ten optical channels, and each one can carry up to 10G Ethernet. 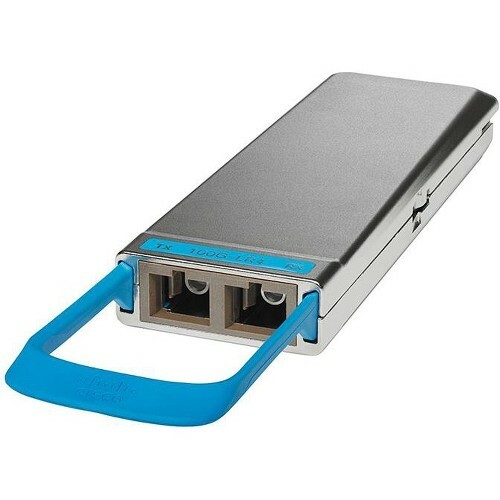 Cisco’s optical transceivers are known for having a compact design and for being energy efficient compared with other optical transceivers with similar specifications. BrightStar Systems stocks many of Cisco’s highest performing used optical transceivers, including the CPAK-10X10G-LR, CPAK-100G-ER4L and the CPAK-10X10G-ERL. We have a wide selection of used surplus and refurbished CFP, QSFP, QSFP+ and QSFP28 optics that are all in great condition. If you’re looking to purchase for other pre-owned optical transceiver form factors, get in touch with our sales staff.